KARACHI: A comprehensive development package worth Rs. 7 trillion should be announced for Balochistan for the next 20 years, said Dr. Kaiser Bengali, former Advisor to Balochistan Chief Minister here on Tuesday. Speaking at the launch ceremony of his own book ‘A Cry for Justice: Empirical Insights from Balochistan’, the noted economist also advocated amendments in the existing electoral system to end injustices meted out to the province in the last 70 years. The event was organized by the Pakistan Institute of Labour Education and Research (PILER) at the Arts Council of Pakistan. Dr. Bengali said assets had been transferred from Balochistan to other parts of the country over the years. Karachi and Lahore were developed with use of gas reserves of Balochistan, but the province did not receive gas from Sui as late as 1984, he said. He dispelled the notion that sardars were the impediment in development of the restive western province. Less than a third of Balochistan is under sardari system, he said, adding that it was incorrect to say that sardars were a hindrance in the way of development. He said the majority of the Baloch population belonged to the middle class, who wanted development in the province. “It is a mere propaganda of those in Islamabad to keep control of Balochistan,” he remarked. “There was no role of provincial assembly in the recent change of government in the province. The decision was made somewhere else,” he said. There is a lot of interference in electoral process in the province, he said, adding that Dr. Malik had quoted that General Pervaiz Musharraf had asked him to support a woman candidate, but he refused. He was arrested the next day. Providing an overview of his book, Dr. Bengali said injustice had been widespread in Balochistan, especially in the matter of natural gas. The total resource transfer from Balochistan, between 1965 and 2014, was Rs.7 trillion. It should be paid back, he said. Dr. Kaiser Bengali said the average share of Balochistan in the Gross Domestic Product (GDP) growth between 1970 and 2000 remained at 4.1 percent, despite the fact the population of the province was five percent. The growth rate of the remaining three provinces remained 4.7 percent, he added. Average gross product growth rate in 2000-11 was 4.7 percent in other parts of the country, where as it was 2.5 percent in Balochistan. The province is still lagging behind and even falling further behind, he said. He pointed out that it was an injustice to the people that the electoral process was based only on constituencies and population. Average constituency size is spread over 24,799 square kilometer, where as average constituency size of all three provinces jointly is less than 2,000 sq. km. “It is impossible for a candidate to reach most of the areas for election campaigns as there is no road network in most of these areas,” he said, adding that there was a need to introduce electoral reforms to increase the number of seats in both Balochistan Assembly and National Assembly. Providing statistics of allocations of funds under Public Sector Development Programme (PSDP), he said from the period 1990 to 2001 share of Balochistan in PSDP was 3.9 percent and 0.18 percent in GDP growth rate. During the period 2002-2016, Gwadar came into focus and Balochistan’s share in PSDP increased to 7.6 percent and 0.2 percent in GDP growth. From 1990 to 2016, not a single scheme was introduced for civilian housing in Balochistan, he said. He said the National Highway Authority (NHA) was working in a colonial style, and it had neglected both Balochistan and Sindh in its projects. Giving statistics, Dr. Kaiser Bengali said historical neglect indicated by absence of road communications in the 347,000 sq. km province till the ‘discovery’ of Gwadar. Till 2004, the residents of Gwadar and coastal towns were travelling to Karachi via a dirt track, and the trip required 2-3 days to cover, compared to seven hours currently, with passengers having to spend nights in the open. It required carrying spare tyres and a spare axle to attend to breakdowns. Moreover, Dr. Bengali said a 100,000 sq. km area in central Balochistan was devoid of any metalled road. “It was Balochistan’s Empty Quarter, akin to the Arabian Peninsula’s Rab-ul-Khali,” he added. 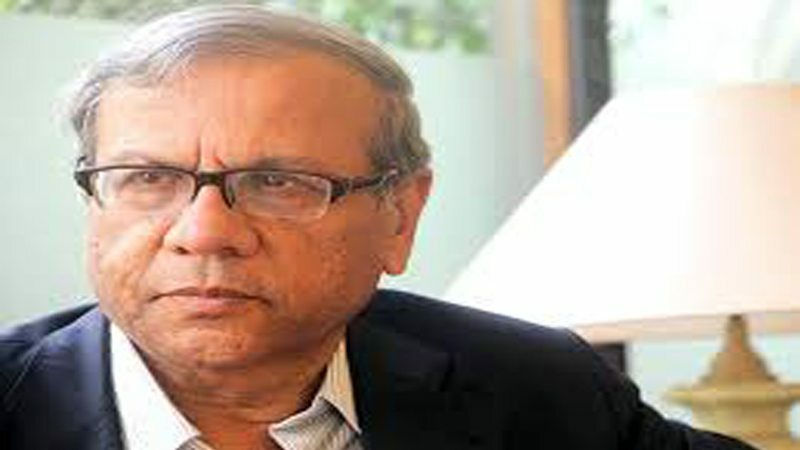 Even today, there is not a single dual carriageway in the province, said Dr. Bengali. He suggested that at least 44 percent of NHA budget should be allocated for Balochistan for the next 20 years. He also quoted statistics about representation of the Baloch in federal bureaucracy and said total 42 Divisions and 11 key offices are there in federal government and there is no grade 20, 21 or 22 officer from Balochistan till today. None of the chief secretaries ever appointed in the province were from Balochisan. There are zero Baloch among BPS 20-21-22 officers in Defence, Economic Affairs, Petroleum and Natural Resources, Planning and Development ministries as well as the Supreme Court. Similarly, there are zero Baloch in PBS 21 and 22 officers in Cabinet, Commerce, Communication, Interior, Water & Power, Prime Minister’s Secretariat, National Assembly Secretariat, Election Commission, and NAB. PILER’s Executive Director Karamat Ali said that people of Balochistan deserved restoration of their rights and resources. Published in Daily Times, February 28th 2018.